Mount Vernon is the most populated, and the real estate market in Mount Vernon at any given time consists of condos, co-ops, townhomes, single family homes, in a wide range of price, styles and square footage. Note: The price per square footage shown below can at times, be inaccurate due to the way some commercial properties are entered into the MLS. Call Hire Realty LLC at 914-598-2386 for a private viewing and more details about any listing. It's fast, it's easy, it's automatic and it's FREE -- Sign up to receive email alerts of new listings in Mount Vernon, as soon as they hit the market. Call Hire Realty LLC today, for a private showing of any of the homes for sale in Mount Vernon or throughout Westchester County. From about $960,000 to $1.6 million, single family homes at this price point are typically well-built, well-designed, classic Colonials with all the character details you’ve come to expect in homes from the early 20th century. Homes in neighborhoods such as Elmsmere Estates, Hunt Estate, and Aubyn Manor typically are designed with 3-6 bedrooms and as many baths, arranged from 2,350 to over 4,000 square feet. Many residences feature coveted extra spaces like basement, attic, and third floor. Other common features might include entry hall, arched doorways, hardwood flooring, multiple fireplaces, and spacious rooms. Yards generally feature mature landscaping with a variety of porches, patios and outdoor living spaces. Beginning at $225,000, you can find your style and stay on budget in Mount Vernon. 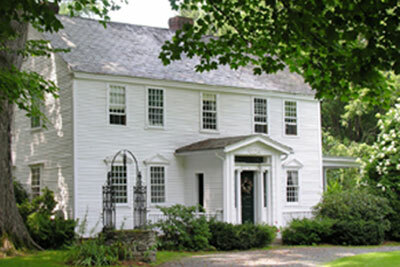 Home styles vary from Colonial to Victorian to Tudor and more! You’ll routinely find 3-6 bedrooms and up to 5 baths in neighborhoods like Mt Vernon Heights, Chester Hill, and Oakwood Heights, with floor plans spanning roughly 1,000 to nearly 3,400 square feet. You might expect to find elements like arches, beamed ceilings, updated kitchens, fireplace, stained glass windows, newer bathrooms, and basement. Homes might have attached garage and additional parking in the driveway. Mount Vernon is an excellent choice for commuters, and the condo and co-op inventory is plentiful. Choices vary from 450 to about 2,300 square-foot floor plans with up to four bedrooms and 1-4 baths in communities like Pasadena Green, Melissa Court, and The Quincy Park Avenue. Amenities vary by building, but could include garage parking, on-site laundry facilities, lobby and additional storage. Some homes are in need of a few updates while the work has been done for you in others. 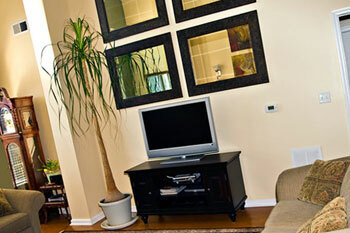 You might also find fireplace, hardwood floors, walk-in closet, and balcony or deck. Many communities are pet-friendly. Mount Vernon parks and recreation has a full slate of facilities and activities for all ages. City parks have athletic fields and courts as well as pools, picnicking, and fishing at areas like Wilson’s Woods Park. There are also a variety of hiking trails and nature areas, especially at Hunts Woods Parks. Seniors have the opportunity to socialize and get active at two senior centers, which offer free transportation during the week. Mount Vernon students attend one of nine elementary schools, two middle schools and three high schools as well as a sampling of specialized schools for specific student populations.